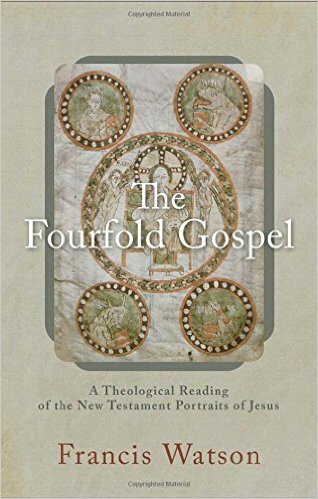 The Fourfold Gospel: A Theological Reading of the New Testament Portraits of Jesus. From the book’s description on Amazon: “Francis Watson, widely regarded as one of the foremost New Testament scholars of our time, explains that the four gospels were chosen to give a portrait of Jesus. He explores the significance of the fourfold gospel’s plural form for those who constructed it and for later Christian communities.” I recently finished Richard Hays’ excellent Echoes of Scripture in the Gospels, so I’m excited to listen to Watson’s perspective on the significance of the fourfold nature of the Gospels with Hays’ work in mind. 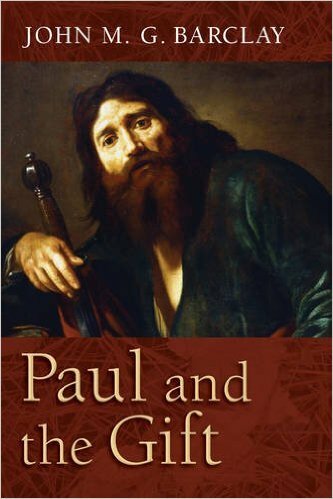 Paul, Judaism, and the Gentiles. This is the 2nd edition of Watson’s book, and he has significantly revised and expanded it. J. Ross Wagner comments (pretentiously?) 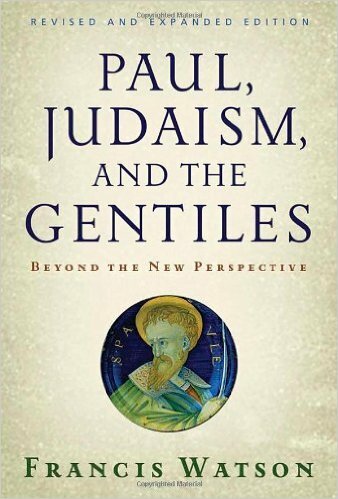 that, “Like a fine wine, Francis Watson’s insightful early work on Paul has aged well, retaining its fundamental character while acquiring new depths of subtlety, complexity, and maturity.” What draws me to Paul, Judaism, and the Gentiles especially is the subtitle, “Beyond the New Perspective.” I’ve read a fair number of works by “New Perspective” Pauline scholars like E.P. Sanders and N.T. Wright, and I’ve also learned from some “Old Perspective” people like Thomas Schreiner and Stephen Westerholm. So the prospect of moving beyond Old/New dichotomies seems well worth looking into. 2. James K.A. Smith. He’s a professor of philosophy at Calvin College up in Michigan. He works from within the Reformed tradition and has done a lot of teaching and writing related to the intersection of theology and postmodern philosophy; he also has important things to say on Christian cultural formation. However, I haven’t read much of his work yet (only Who’s Afraid of Postmodernism?). That can hopefully change this summer. You Are What You Love. This is Smith’s newest title, and it’s garnered quite a lot of attention. It’s something of a revision of his older work Desiring the Kingdom, and appears to be centered on the importance of Christian practices and worship habits in character/cultural formation. 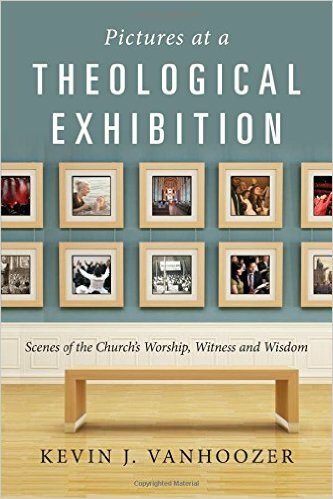 It should be right up my alley, and contain plenty of echoes of Alan Kreider’s The Patient Ferment of the Early Church, which dwelled at length on the importance placed by the early church on developing a distinctly Christian habitus through catechesis and worship. 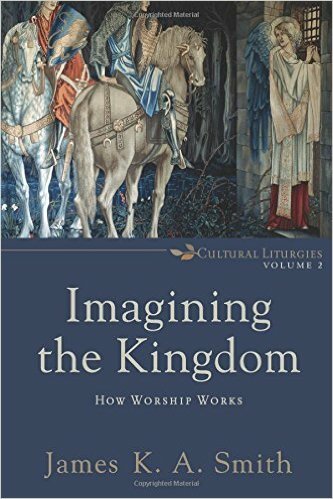 Imagining the Kingdom: How Worship Works. This is one of Smith’s older works, published in 2013, and it also looks at how liturgical worship practices orient Christians (both individually and at the communal level) towards loving and serving God both intellectually and devotionally. 3. John Behr. He is the Dean of St. Vladimir’s Orthodox Theological Seminary and professor of Patristics, I think it is safe to say that Behr is probably one of the more preeminent early church scholars in the world. I’m passionate about church history, especially the Patristic era, so reading through Behr’s works might be the highpoint of this year’s summer list for me. I was pushed in the direction of Behr’s writings through Khaled Anatolios’ Retrieving Nicaea, an excellent work on Patristic theology in its own right. 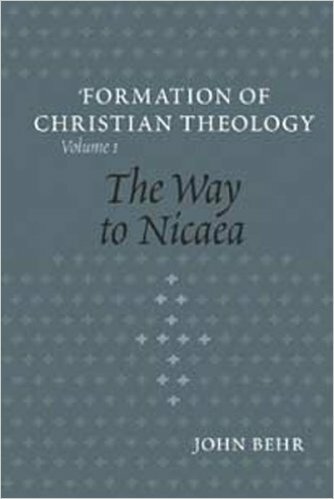 The Way to Nicaea. This is the first title in Behr’s “Formation of Christian Theology” series, looking specifically at the first three centuries of Christian theology. Speaking of the series overall, the book description over at St. Vladimir’s Press comments that, “This three-volume series traces the reflection provoked by Christ’s question, “Who do you say that I am?” from the earliest days of Christianity to the Seventh Ecumenical Council.” Studying and drawing from the writings of the Patristic period takes a lifetime. Even so, Behr’s work should be both challenging and nourishing in the best of ways. 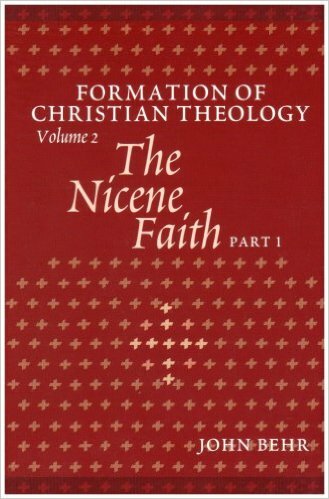 The Nicene Faith. Covering the controversies of the fourth century, which proved to be of fundamental importance for the rest of Christian theology, this volume of Behr’s work is divided into two parts. In the first part, it appears that he gives extended analysis to Arius, Alexander, Athanasius, and ultimately the Council of Nicaea. In part two, he turns more to the writings of the Cappadocian Fathers and their works on Trinitarian thought. I’m not sure how to get across the deep level of anticipation I have for digging into Behr’s exploration of early church history. 4. Kevin Vanhoozer. Vanhoozer currently teaches at Trinity Evangelical Divinity School (TEDS) in Deerfield, IL, though he has also held a few other academic postings. Recently, I finished his extraordinarily rich (and dense) The Drama of Doctrine. He is passionate about connecting doctrine/belief to concrete Christian practices, and is known for comparing the Church to the drama of a theatrical troupe, with Scripture being the authoritative script and doctrine being the directions that enable faithful and creative performance. I’m still processing The Drama of Doctrine, but it made me want to get to know Vanhoozer’s voice better. Pictures at a Theological Exhibition. This might be his newest work. The title alludes to the 19th century Russian composer’s Mussorgsky’s Pictures at an Exhibition. 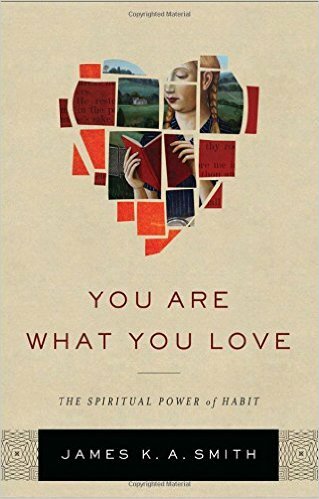 In Derek Rishmawy’s short review of the book, he writes that, “Much like the Russia of Mussorgsky’s day, Vanhoozer thinks the Church is called to resist the Westernization of her culture.” It looks like this collection of stimulating essays aims to help readers cultivate a biblical imagination that helps them live out in a fitting way the life of discipleship that believers are called to inhabit (or in Vanhoozer jargon: “participating fittingly in the theodrama of redemption”). Is There a Meaning in This Text? Over the past year or so, I’ve become much more interested in the fields of literary theory, narrative criticism, and (more broadly speaking) hermeneutics. 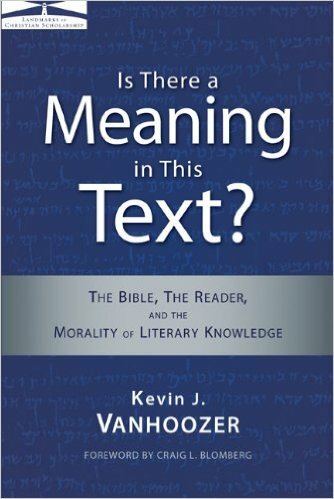 Textual interpretation is a challenging—and unavoidable task. Bartholomew’s Introducing Biblical Hermeneutics helped me familiarize myself with the contours of the field of biblical interpretation. Hopefully, Is There a Meaning in This Text will help me further deepen my knowledge of the field. 5. Robert Louis Wilken. Like John Behr, Wilken is another important scholar of early Christian studies. He has authored a number of informative works on the Patristic era, and even more importantly, his writings radiate with love for the Church. 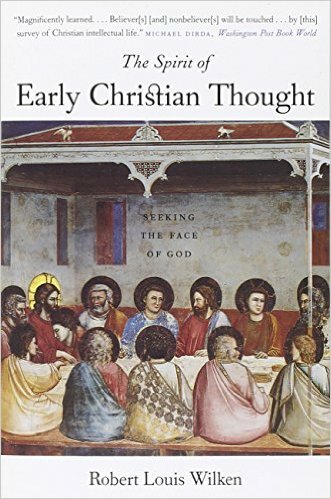 I was recently listening to a lecture Wilken gave in 2009 at The Wheaton Center for Early Christian Studies and it inspired me to commit to try and better acquainting myself with his work this year. The Spirit of Early Christian Thought. I almost read this book with a dear friend last year. Unfortunately, we never got beyond the first few chapters. In it, Wilken takes readers through the world of early Christian thought, showing how a formidable intellectual and spiritual tradition was developed over the first centuries of the Christian era. I’ve read a number of surveys of early Christian thought, and many of them center mostly on the christological/trinitarian controversies. Those are obviously significant topics that cannot be skipped, but Wilkens also engages with other facets, such as Christian poetry, that are less frequently covered. Remembering the Christian Past. This collection of essays was published in the mid 1990’s. 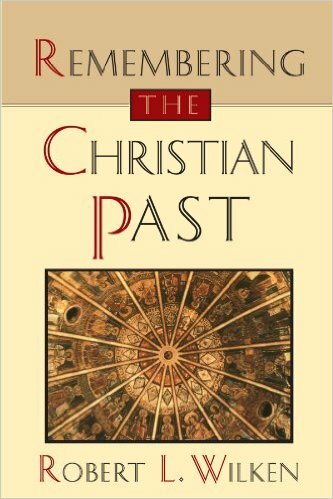 They all center on the relevance and potential fruitfulness of Patristic and even Medieval Christian thought for contemporary life in the Church. I like using essay collections to get to know scholars because they often provide a brief portrait of the person without having to dig into 500 page long manuscripts. Hopefully, this one won’t disappoint. The Chronicles of Narnia. 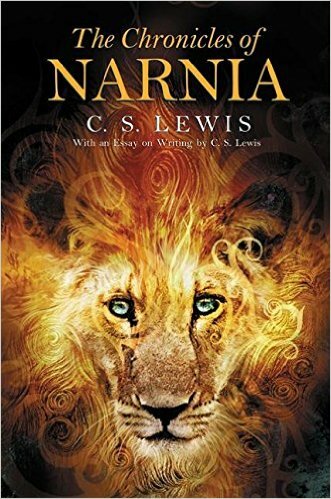 No, I haven’t read Narnia yet. Yes, that needs to finally be fixed. I don’t have any good excuses. My only plea is that I’m a recovering nonfiction addict. 2. 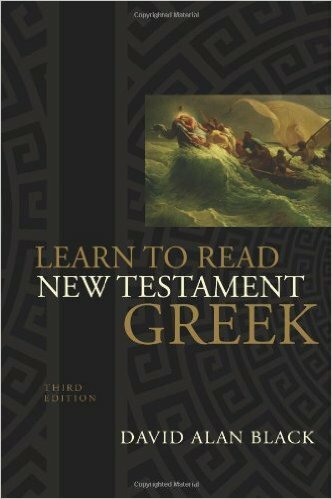 Learning to Read New Testament Greek. I’ve been avidly reading theology for a number of years now, and I’m thinking that it’s finally time to begin growing in my knowledge of Koine Greek. This is definitely only the first step in a long process, but I hope that in the end I can follow textual arguments more closely as a result of Learning to Read New Testament Greek. 3. Paul and the Gift. John Barclay is another British Pauline scholar that I’ve been wanting to read for the last few years. I did get the chance to read an essay by him that was part of Galatians and Christian Theology, but other than that he is still an undiscovered voice for me. Last year, this extensive work on grace in Paul’s theology came out. Like Francis Watson’s works, I’m hoping that Barclay’s efforts can help people move beyond a few of the unnecessary dichotomies that stand between Old/New Perspectives on Paul. Either way, I look forward to being stretched and challenged by Paul and the Gift‘s ambitious scope. 4. Wealth and Poverty in Early Church and Society. One of the most personally influential books on wealth and poverty in early Christianity was Christine Pohl’s Making Room: Recovering Hospitality as a Christian Tradition. In the first portion of her book she dwelled at length on hospitality practices in early Christianity, especially in relation to the poor and marginalized. This collection of studies should further add to the conversation of how Christian tradition can inform and transform contemporary conversations about how following Jesus relates to issues of social justice etc. 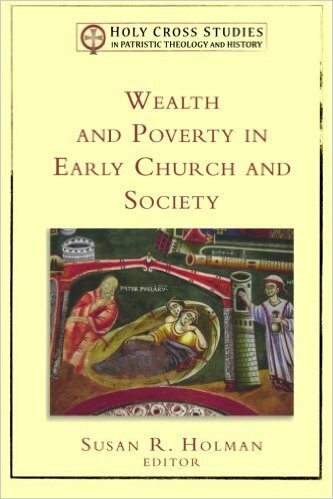 Also, Wealth and Poverty in Early Church and Society was the inaugural volume of the Holy Cross Studies in Patristic Theology and History series. I’m looking forward to someday also digging into the other volumes of the series. 5. 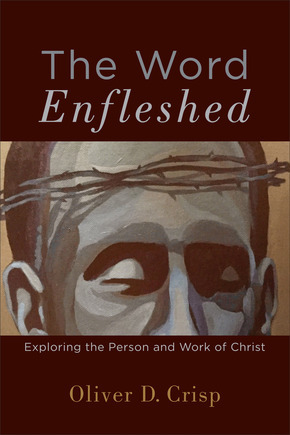 The Word Enfleshed. Oliver Crisp is a British systematic theologian currently teaching out at Fuller Theological Seminary in California. From what I know of him, I know that he is an important proponent of analytical theology, and that he writes from within the Reformed tradition. Since I’m a passionate advocate of reading both broadly across traditions and deeply within traditions, this volume looking at the person and work of Christ, focusing especially on the importance of “union with God incarnate” should be thought provoking. Crisp has a few previous books on Christology as well, so I may try to skim/read one or both of them before The Word Enfleshed gets released in September. I’m sure that a few of these books will (sadly) remain untouched by the end of summer, but I hope and pray that the ones I do read will be both deepening and challenging both intellectually and spiritually. Happy reading! This entry was posted in Book Reviews and tagged Book Reviews, C.S. Lewis, David Alan Black, Francis Watson, James K.A. Smith, John Barclay, John Behr, Kevin Vanhoozer, Oliver Crisp, Robert Louis Wilken, Summer Reading Lists, Susan Holman, theology by joecrow91. Bookmark the permalink.